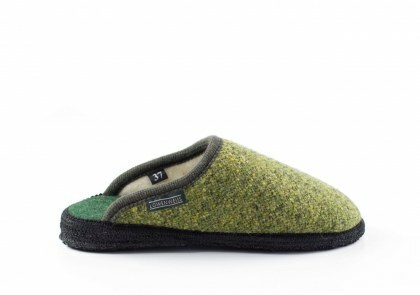 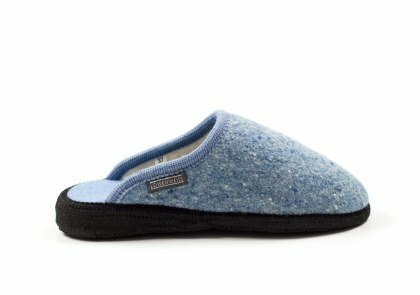 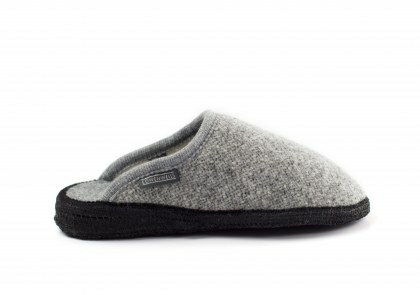 Pure wool mélange slippers. 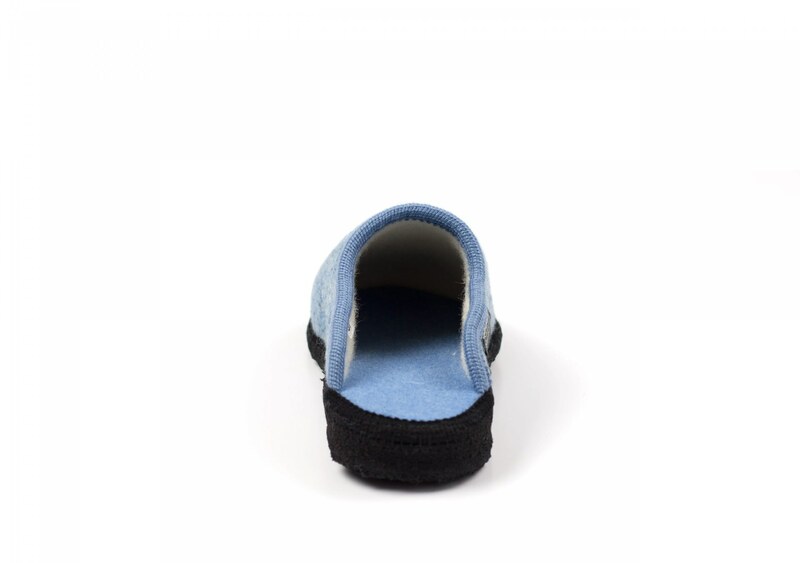 Handmade felt and latex sole with 2-cm wedge. 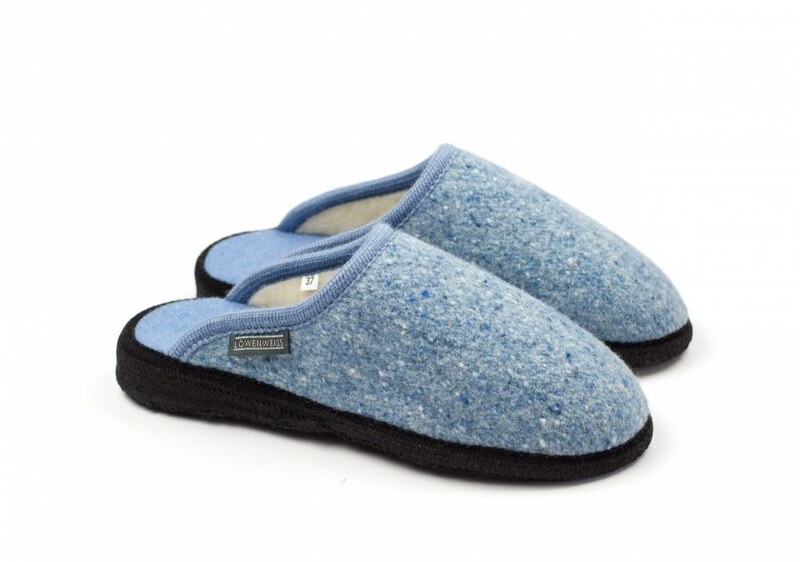 Cosy, warm and soft slippers made from a stylish fabric created with (tone-on-tone) yarn that features different nuances of colour, creating a harmonious result. The best of craftsmanship is the guarantee of a superior quality slipper with distinctive character which maintains its softness, warmth, breathability and durability. 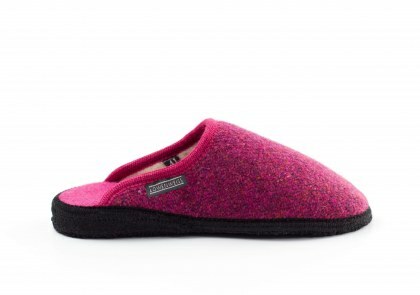 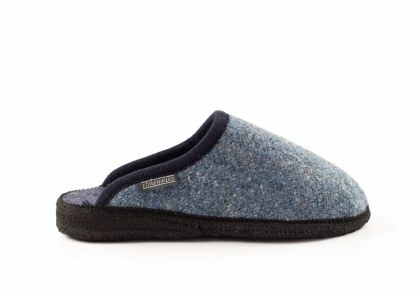 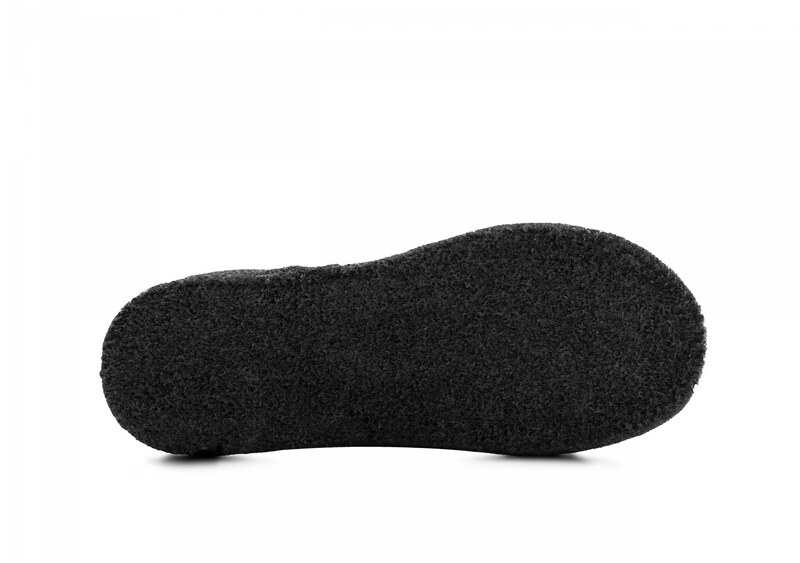 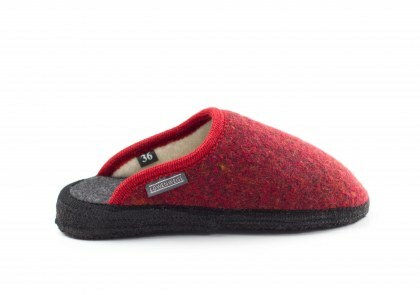 Our most popular open-back slippers: warm and hard-wearing, they are available in a range of colours with a wedge that provides relief to the whole body, starting with your back.